Businesses today face a very VUCA world, where VUCA stands for volatility, uncertainty, complexity, and ambiguity. Change today is accelerated by technology like the internet, mobile and the Internet of Things (IoT). Taxi Companies. Nokia. Blackberry. Blockbuster. What do these companies have in common? Simply put, they did not adapt and meet the rapid pace of change in the industry. In addition, the influx of millennials into the workforce has increased pressure on organizations to become more digital. According to PwC’s Survey, the millennials will form 75% of Global Workforce by 2025. Being digital natives, 75% of millennials believe access to technology will make them more effective at work. Maggie Buggie, Capgemini’s VP Global Head of Digital Sales and Markets, noted this trend and attributes this pressure from the richer digital experiences that people have at home. To meet these challenges head-on, many organizations lean towards digital transformation programs to retain a competitive advantage. This means exploring and implementing innovative and often fundamental changes in business operations to incorporate digital solutions and remain competitive in the current global digital economy. The good news is that companies that have successfully achieved true digitization are twice as likely to report industry-leading growth, profitability and customer satisfaction than their competitors. The bad news? These digital transformation projects have a 75% failure rate and this is due to poor employee engagement, cultural resistance to change and a lack of strong management involvement. Why is Digital Transformation a Challenge? The reason for these failures is the assumption that digital transformation is all about technology. Less attention is put into COMMUNICATION, COLLABORATION and the PEOPLE who are instrumental in making the processes work. In larger organizations, the transformation process is slow, even as agile start-ups are taking up larger market shares. Then there’s the global employee engagement challenge. Research by Gallup indicates that only 13% of employees around the world are engaged at work, and only 24% agree that the digital technology that their organization provides allows them to complete their tasks efficiently. Meanwhile, in Adobe’s Future of Work study, 85% of employees who feel that their company’s technology is ahead of the curve, say that they love their job. This means that for any digital transformation implementation to be successful, the employees need to be engaged first. How to make digital transformations successful? Creating a successful and mature digital transformation requires an in-depth understanding of digital cultures in the organization, behavioral psychology, and employees’ social motivations. This is one of the reasons why we created SelfDrvn; a technology platform to help organizations motivate and engage employees using enterprise gamification while providing behavioral analytics to give managers actionable insights into how to keep employees motivated and get the best out of employees. Enterprise gamification, however, is not an absolute, silver-bullet solution to digital transformation challenges. Nor is it just about awarding points and badges to employees and forgetting about it. Organisations must put significant thought into the design of any enterprise gamification solution to get effective results from it. Such designs must put the users—the employees—at the center of the digital transformation. Other crucial factors include getting full support from key company management, and frequent communication, especially about the progress of the digital transformation. Research by McKinsey links these (in addition to planning for continuous improvement) to an increased likelihood of success for transformation exercises. 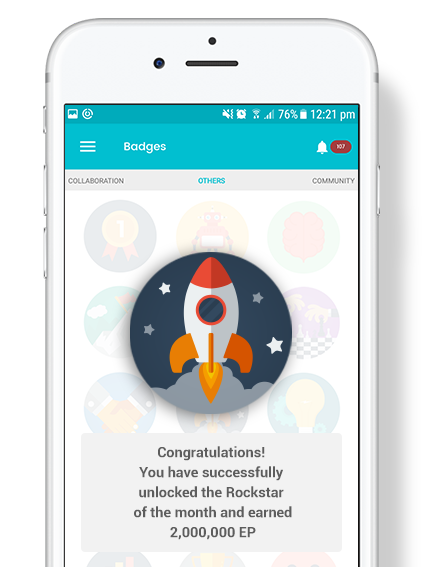 How Does Enterprise Gamification Help? If you have already started or are in the initial stages of starting a digital transformation program, you must ensure that the focus is on raising employee engagement to accomplish your organizational goals. Do this by increasing your communication with them, providing frequent (if possible, instant) feedback, recognizing their achievement, and celebrating milestones. Digital engagement platforms like SelfDrvn makes processes like these easier to accomplish for organizations. Behavioural analytics also provide a deeper understanding of what works and what doesn’t, allowing organizations to be agiler and adapt to rapid changes. For instance, like in computer games, enterprise transformation processes can set a goal to accomplish on the digital engagement platform. They can facilitate collaboration and teamwork among stakeholders to achieve the goal while providing instant feedback and recognition on contribution, innovation, progress, and achievements to sustain employee engagement. The Annual Performance Review is dead. That’s what you’d found if you are researching on the internet on employee performance management these days. Fortune 1000 companies like General Electric are reportedly abandoning annual performance reviews in favor of a more agile way of managing and motivating employee performance. Adopt agile management principles into performance management. For example, performance check-ins can be structured like a quick 10-20 minute weekly 1:1 huddle between manager and employee. Create an open culture where regular peer feedback is encouraged and rewarded. Real time peer feedback when combined with coaching makes performance reviews more effective. A great way to culture the culture of feedback is to reward employees who give out helpful feedback to help their peers improve. Set peer feedback goals for every employee, to make feedback more real-time, allow employees to not only give peer feedback, but also solicit them from their peers any time. Apply Agile & S.M.A.R.T principles in employee goal setting. Manage them like 7- to 30-day sprints. 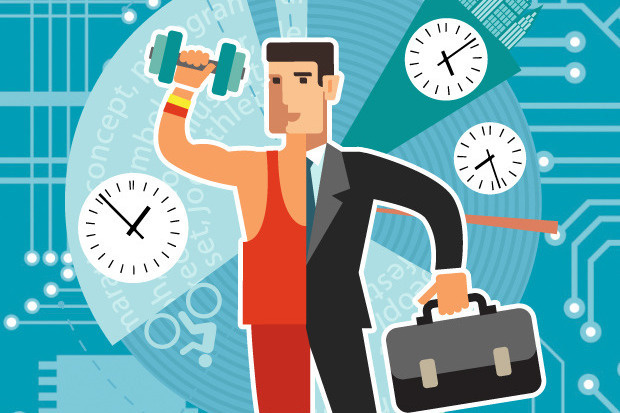 Strike a balance between setting corporate KPI and personal goals for employee. Ask employees about what they expect from an experience, growth and contribution perspective and include mutually agreed objectives as part of their development goals. Use peer feedback to help managers set improvement goals for employees. Digitize real time peer feedback to reduce the time taken for managers and HR to collect and analyse peer feedback. An intuitive mobile peer feedback app will do wonders to the level of adoption of peer feedback among employees.